INDUSTRY.co.id - Jakarta - Bank Indonesia to develop an integrated financial balance across sectors of the economy, and regional scale in order to oversee the vulnerability of the financial system of various risks, such as the risk of volatility in the rupiah. Deputy Governor of BI Perry Warjiyo in Seminar "The National and Regional Balance Sheet: Toward an Integrated Macro financial System Stability" in Jakarta, Wednesday 1/11/2017) said the existence of integrated and regional scale balance will make it easier for authorities to monitor systemic risks and mitigate them. For regional-scale finance, Perry said BI was the first Central Bank in the world to develop the initiative. The regional financial balance sheet initiated in 2014. "The initiation of this integrated and regional balance sheet is due to the need for information and analytical tools in monitoring economic transactions and financial markets are increasingly complex," he said. Balance sheet statistics previously owned by BI are not fully able to capture the potential vulnerabilities of the financial system. Because, as the development of economic activity, there is potential financial imbalances (financial imbalances), activity among economic actors are increasingly interconnected and fast transmission lines across sectors. This "National and Regional Balance Sheet" concept, he said, is the only statistic that collects the positions and financial transactions of all sectors in the economy - households, corporations, central government, regional governments, banks, the nonbank financial industry, and the external sector country. For regional-scale balance sheets, Perry says the economic and regional levels are now increasingly diverse. Not to mention, there are regional authorities to manage their regional finances autonomously. It requires a specific understanding of the Central Bank to capture the different risks of each region. 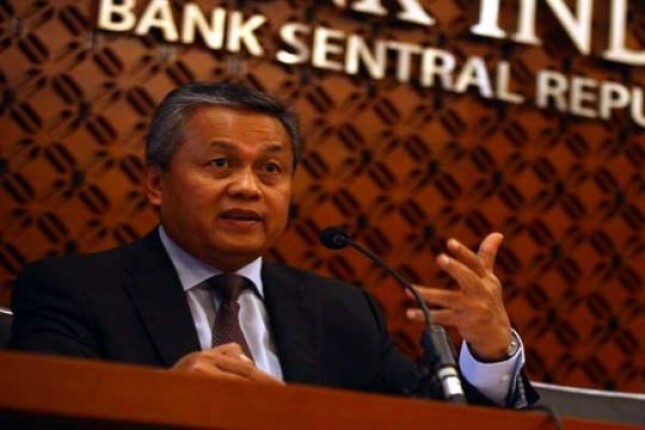 "Indonesia has also advanced to see the balance sheet of provincial provinces both look at government finances, and corporations that are different," he said as quoted by Antara. The development of the balance sheet must also touch the completeness of the data, especially in the corporate sector. "Corporate financial reporting on a regular basis should be a priority for authorized authorities," he said. The seminar was attended by representatives of 20 central banks from around the world, members of the Financial System Stability Committee, as well as local governments, banks, economists and academics. The holding of this international seminar is also part of a series of campaigns "Voyage to Indonesia" to welcome the implementation of the Annual Meeting of World Bank and IMF 2018 in Bali, Indonesia.